I offer a range of services to ensure your Piano will perform at its maximum potential. Training at the royal national college in Hereford, winning the Mcgreggers prize and becoming a certified Piano Tuner Technician for the two leading associations in the UK, I tune to a professional standard whatever the situation. Tuning services I offer includes pitch raising, and fine tuning. I carry out a variety of repair work including on site repairs (such as sticking keys, broken hammer shanks, string replacement etc). 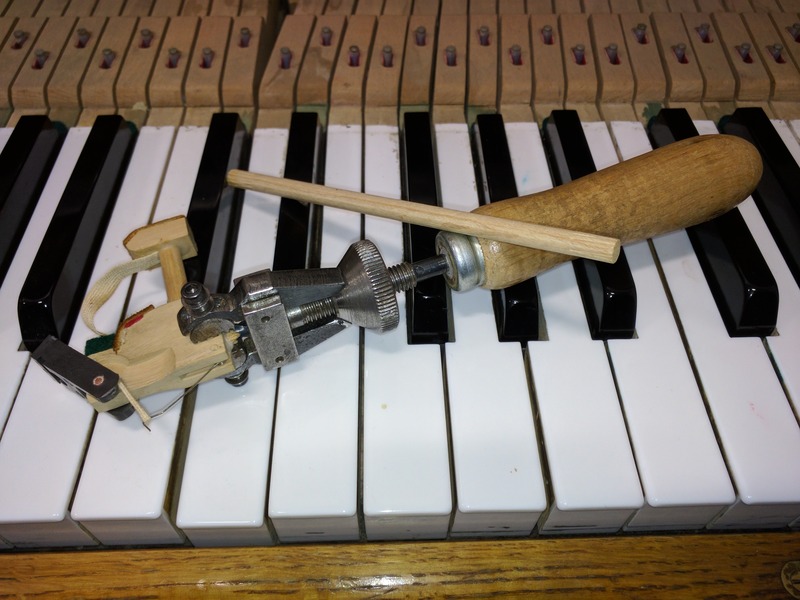 For more demanding repair work i can rebuild the Piano action in my workshop. 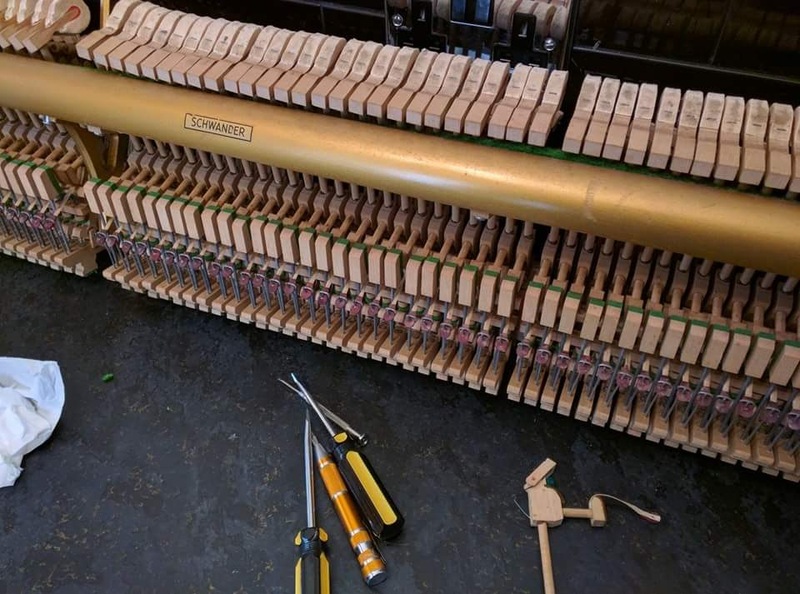 The regulating service I offer ensures that your Piano performs at its best. Regulation is an important process as for the Piano to produce an even playability, execute dynamics, and function correctly. Regulating includes dampers and touch, key leveling, dip and hammer spacing. Loss motion, check, and set off ajustments. 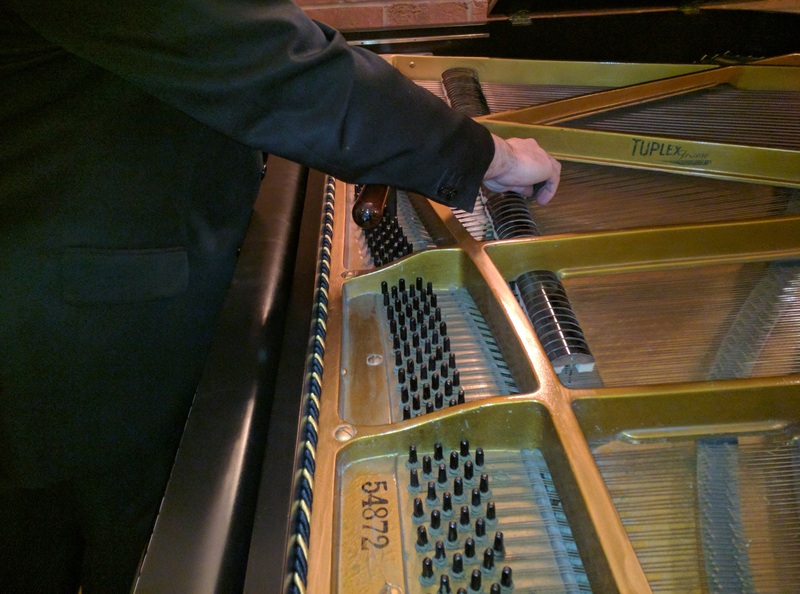 I offer a cleaning service for both Upright and Grand Pianos. 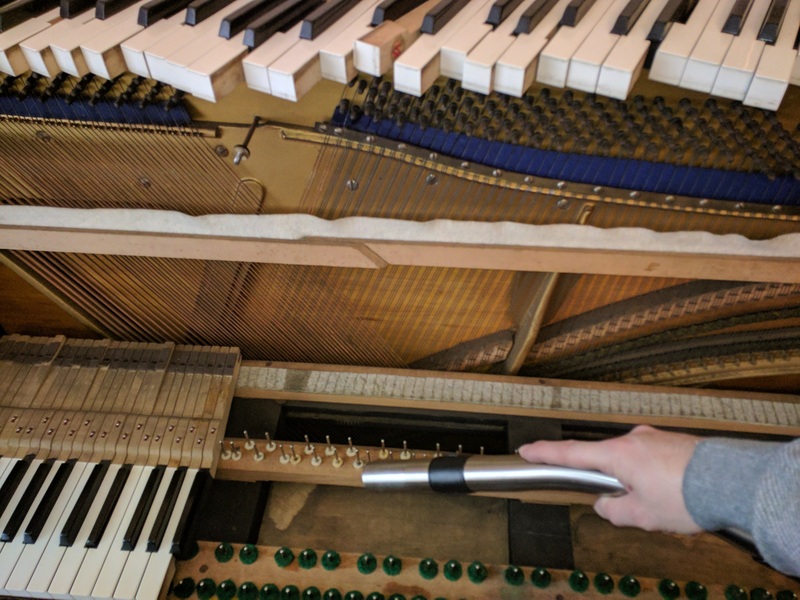 The service includes soundboard cleaning, removal of keys to gain access to the keybed (this is where decades of dust and objects can be found), and action cleaning. Voicing of the Piano in simple terms is brightening or mellowing the tone of a Piano. Also over time the tone across the full compass of a piano can become uneven due to grooves and compressed felt in the hammer heads. Voicing will remedy the unevenness of tone. This includes hammer reshaping.